On Thursday, Rep. Sean Patrick Maloney [D-NY] offered an amendment to the military construction and veterans affairs spending bill that would prohibit discrimination against LGBT individuals in hiring and employment activities. It was very similar to an amendment that was offered last year by Rep. Scott Peters [D-CA] which upheld President Obama’s 2014 executive order banning federal contractors from making hiring decisions that discriminate based on sexual orientation or gender identity. 60 Republicans voted forRep Peters’ bill which was adopted 241-184 [HR2577, Roll Call 326, 6-9-15]. However, Rep. Maloney’s amendment by a single vote, 212-213 [HR 4974, Roll Call 226, 5-19-16], after seven Republicans switched their votes at the last minute. Rep. Mark Amodei [NV2] and Rep. Cresant Hardy [NV4] voted against passage of BOTH amendments (last year’s and this year’s). It should, therefore, be noted that BOTH are in favor of allowing discrimination to take place. “House Republicans are so committed to discriminating against LGBT Americans, that they broke regular order to force their members to reverse their votes and support Republicans’ bigotry,” Minority Leader Nancy Pelosi [D-CA] said in a statement. On the other side, Speaker Ryan had this to say: “This is federalism. The states should do this. The federal government shouldn’t stick its nose in this business.” UH … Hello? This had to do with FEDERAL contracts for which States hold NO responsibility for issuance, nor enforcement. The Donald wasn’t the worst thing about 2015, but he was the most irritating. Is 2015 over yet? Is it safe to come out now? What a bummer. Mass shootings, cops using unarmed civilians for target practice, the Middle East in rubble, terrorist attacks, Donald Trump. Trump wasn’t the worst of it, perhaps. But he certainly was the most irritating. A year ago he was a loud-mouthed reality show host who moonlighted as a developer of ugly buildings. Now he’s the leading candidate for the Republican presidential nomination. To any patriotic American with a sense of history, it’s embarrassing. We are a country of 320 million people — many of us smart, some informed and reasonable. And the best we can do is Donald Trump? I used to marvel at the Italian propensity for electing ludicrous buffoons to high public office — people like Benito Mussolini and Silvio Berlusconi. How could so civilized a place treat the vote so lightly? But, I reasoned, the Italian national pastime is the opera: the province of great, outsized, slightly ridiculous characters. Their politics seemed to be an extension of that. Trump’s supporters don’t suffer traditional opera gladly. They’re more the Grand Ole Opry type, a different thing altogether. “Wanted: energetic self-starter to run a large, diverse organization. No experience necessary. As a matter of fact, experience is probably a disqualification. “Nor is any knowledge required, particularly in the fields of science and arithmetic. A complete ignorance of history would be welcome, too. “What we’re really looking for is someone who believes. The specific content of the beliefs required will be given to the applicant once he or she wins the job, but a passionate belief in God and the free market will be paramount among them. “The job offers a handsome six-figure salary, free housing, and a liberal vacation allowance (that’s the only thing liberal about it), as well dynamite retirement benefits. It’s as though they ran the ad and, lo and behold, applicants began crawling out from under their rocks all over the country. And the loudest, most outrageous of the rock dwellers was Donald Trump. So-called political experts like myself have been predicting Trump’s demise ever since he flashed upon the scene insulting war heroes, women, Latinos, Muslims, Jews, the mentally ill, and worst of all, journalists. We all thought that, politically speaking, he’d be sleeping with the fishes by now, along with more plausible candidates like Scott Walker, Rick Perry, Bobby Jindal, Lindsey Graham, and that Democrat from Virginia whose name no one bothered to learn. Well, to make a long story short, that’s not the way it rolled. Ted Cruz, the meanest kid on the block, is gaining in Iowa, but the Donald is still leading in national polls. Is it possible that, against all odds, this joke goes on into the general election — with Trump carrying the Republican banner into battle with Hillary Clinton? I still say no. Not possible. We are not Italy. I refuse to believe that one of our major parties — the party of Lincoln, Teddy Roosevelt, and Dwight Eisenhower — would pick a clown like Trump to represent it. Ronald Reagan was bad enough, and Trump makes him look like Thomas Jefferson. I don’t know who the GOP candidate will be, but not Trump. On the other hand, one of the pluses of last year was Barack Obama awakening from his six-year slumber to begin acting like the president we elected, actually doing things despite the relentless opposition of the Republican Congress. It wasn’t nearly enough. But, in the land of Trump, every ray of sunshine is welcome. What’s next? 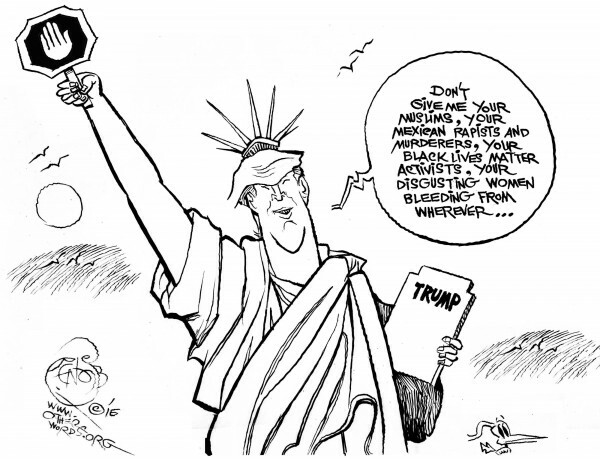 Dismantling Lady Liberty? 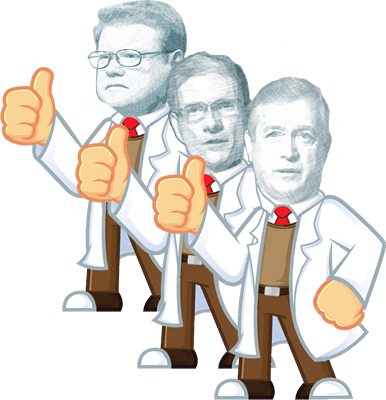 Our three Teapublican congressmen from Nevada, Mark Amodei, Joe Heck and Cresant Hardy locked arms in antipathy and voted to deny Syrian refugees entrance to American shores (Roll Call Vote 643: HR 4038) just as their ancestors denied access to German Jewish refugees during WWII, half of whom died during the Holocaust. Surprisingly, they didn’t amend the bill so they could dismantle Lady Liberty as well. It was an egregious American President and his Administration that created this mess, by lying us into starting a pre-emptive war in Iraq, that destabilized the entirety of the middle east, spawning ISIS and the carnage they’ve created. Still, the Republimen in Congress feel absolutely NO ownership of their savage carnage nor for the resultant refugees fleeing for native country for their lives. And now, Republican despots are touting how terrified they are of widows and 3-5 year old orphaned Syrian Refugees. Personally, I’m ashamed of the action our representatives in the Congress took today. It’s their jobs to lead this nation and to make things work. Instead, all they can do is cast doubt on anything and everything, vote to do nothing, and then crawl back under their favorite rock in fear. WASHINGTON— Today, Democrats on the Select Committee on Benghazi released a new video and fact sheet rebutting claims made by Chairman Trey Gowdy that the Committee is not focused on former Secretary of State Hillary Clinton. The new video and fact sheet come after Republican Majority Leader Kevin McCarthy admitted on national television that the purpose of the Select Committee has always been to damage Hillary Clinton’s bid for President. View the supporting dates and shows when Chairman Gowdy mentioned Clinton here. Before the New York Times broke its story on March 2 about Hillary’s Clinton’s emails, Gowdy had sent to Committee Members an investigative plan that set out monthly hearings with all the different agencies involved in preparing for and responding to the attacks in Benghazi, including the State Department, the Defense Department, and the Intelligence Community. After the New York Times’ email story broke on March 2, however, Gowdy completely abandoned this plan and began focusing almost exclusively on Hillary Clinton. Since then, Gowdy has not held any of the hearings on his schedule, and his upcoming hearing with Hillary Clinton is the only hearing now scheduled. For example, Gowdy abandoned the hearing he had planned for April with former Defense Secretary Robert Gates and Secretary Leon Panetta. The Committee has never held even one public hearing with anyone from the Department of Defense. The Committee has held only one hearing with an intelligence official, but it was with the CIA’s head of Legislative Affairs regarding the status of document production. Gowdy also abandoned plans he had made in February to start conducting interviews of the following top defense and intelligence leaders in April: former Defense Secretary Leon Panetta, former CIA Director David Petraeus, General Martin Dempsey, and former Director of the National Counterterrorism Center Matt Olsen. He never invited any of these defense or intelligence leaders for interviews. Gowdy then announced that he planned to start conducting the following interviews in June: former Defense Secretary Panetta, General Martin Dempsey, and General Carter Ham. Those interviews were also abandoned. By the end of this month, Republicans will have interviewed or deposed 8 current or former Clinton campaign staffers, compared to only a total of four Defense Department officials. Gowdy sent armed Marshals to serve a deposition subpoena on longtime Clinton associate Sidney Blumenthal despite the fact that he was completely cooperative and would have voluntarily appeared without a subpoena, but was never asked. 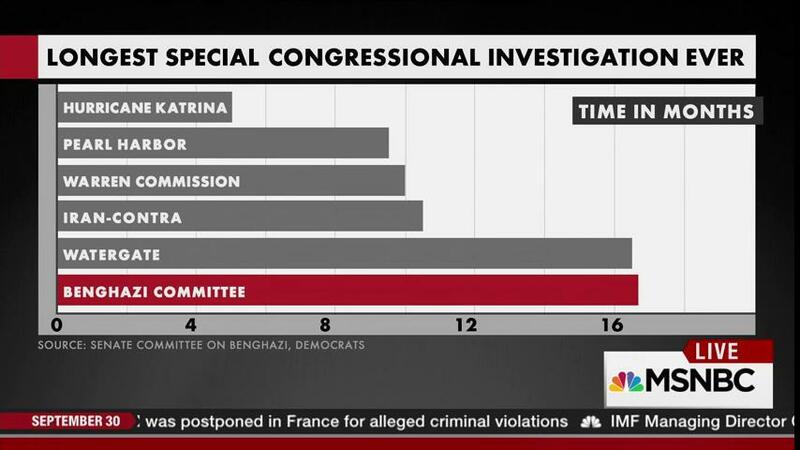 The Select Committee asked Blumenthal more than 160 questions about his relationship and communications with Clinton, but fewer than 20 questions about the Benghazi attacks; more than 50 questions about the Clinton Foundation, but only 4 about security in Benghazi; and more than 45 questions about David Brock, Media Matters and affiliated entities, but no questions at all about Ambassador Stevens or other personnel in Benghazi. Since March, Gowdy’s press releases have focused almost entirely on Secretary Clinton. Over the past nine months, he has issued 22 press releases related to Secretary Clinton (including one on Sidney Blumenthal’s emails with Clinton), but only 5 press releases on any other topic during that period. Of the 5 non-Clinton press releases, three (1, 2, 3) are about the State Department’s compliance with document production, one marks the anniversary of 9/11, and one is Gowdy’s interim progress report. The only documents Gowdy has publicly released over the past 17 months were Clinton’s emails with Sidney Blumenthal, and Gowdy did this unilaterally with no debate or vote by the Select Committee. At the same time, he has blocked the public release of Blumenthal’s deposition transcript, which would reveal all the questions Republicans asked about Hillary Clinton and other issues that have nothing to do with Benghazi. Almost immediately after the interview with Cheryl Mills, Republicans began leaking inaccurate information to damage Clinton with unsubstantiated or previously debunked allegations, while refusing to release the complete transcript. Gowdy refused to investigate or condemn a leak that made more unsubstantiated allegations against Clinton despite the fact that Politico was forced to correct a front-page story that relied on apparently doctored information about an email produced to the Select Committee. The Committee was given an unlimited, taxpayer-funded budget, and it has now spent more than $4.6 million in one of the longest and least productive investigations in congressional history—focused on Clinton. The Committee is being used by Republican fundraisers to attack Clinton. Gowdy’s name, image, and position has been used to solicit political donations by Stop Hillary PAC, which describes itself as “created for one reason only—to ensure Hillary Clinton never becomes President of the United States.